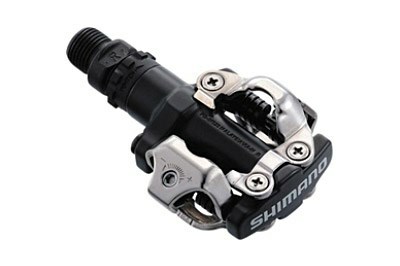 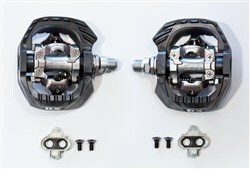 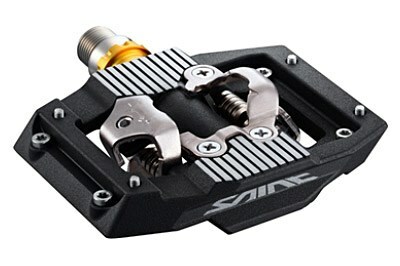 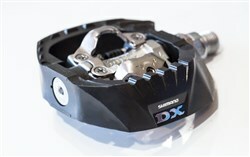 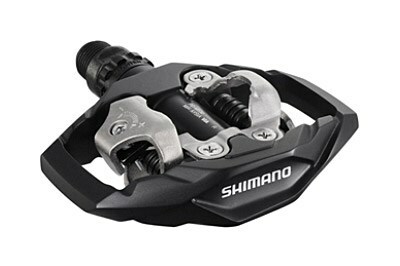 The Shimano M647 SPD Clipless MTB pedals have become popular options for many types of mountain biking, especially gravity disciplines like DH and enduro. 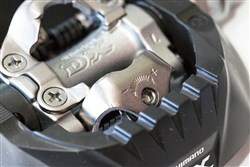 Originally designed for the rigors of BMX racing the dual-sided pop-up bindings are easy to clip into. 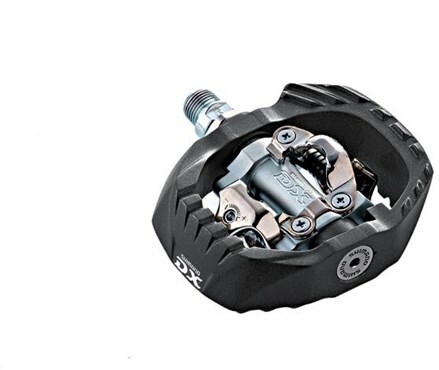 With adjustable cleat tension and a 12.5 degree release angle you can make it easier of harder to unclip to suit your needs . 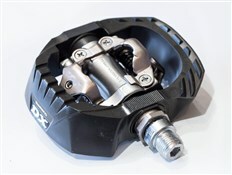 These pedals are great if you also want to wear trainers when cycling.